1. Any change or cancellation to your reservation must be requested at chapinerohills@gmail.com with a minimum of 4 days before the date of arrival at the Hostal. 2. In the case that the reservation was made the same day of arrival and the guest does not appear, no changes or cancellations will be applied, only the "No Show" charge corresponding to the value of one night will be charged. the credit card with which the reservation was guaranteed. 3. 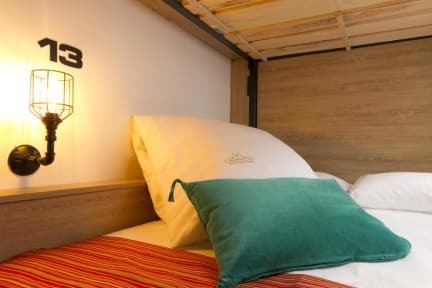 For stays of more than one night, if the guest does not show up at the Hostel on the date and time set for the check in, the "No Show" charge will be applied only for the first night of the reserved room. to the credit card with which the reservation was guaranteed. The rest of the stay will be canceled automatically. Chapinero Hills is located in the financial district of Bogotá. A strategic point for you to know and enjoy the gastronomic, cultural and historical variety of this wonderful city. Chapinero Hills Hostel 200 m away from two of the main gastronomic areas of Bogota as the g zone that has a great variety of restaurants. We have dorms and private rooms. All rooms are non-smoking. The WiFi covers the entire building. 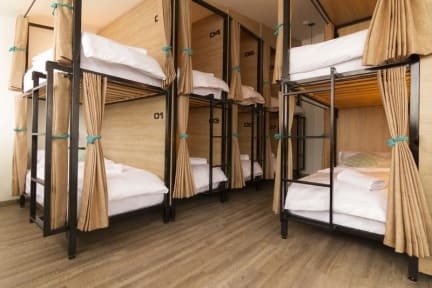 Aconchegante e sofisticado hostel, com excelente localização, funcionários super amigáveis e cama muito confortável. Já o considero minha casa em Bogotá! Cozy and sofisticated hostel, great location, very friendly staff and super comfortable bed! Already consider it my “home” in Bogota! Looking forward to go back! Cozy, good accomodations, hot showers 98% of the time, very lovely and attentive staff, private lamps and sockets, curtains at the beds. Breakfast is small but delicious. The automatic lights at the sinks turn off so fast and you have to keep moving to turn it on again. Apart from that, a great place to stay. Good and clean hostel, really confortable beds and nice staff. They could pay more attention to some details (a trash can in the bedroom would be good), but its a great hostel in general. Not ideal for the ones looking for a party atmosphere.